Fully managed cloud service to power live streaming, either end-to-end or as part of a custom streaming platform. Free player and hosted page. REST API, Java SDK, and Ruby SDK access. 5 hours streaming / 10 connections. Downloadable streaming server software to power live and on-demand streaming: on-premises or in the cloud, with fully customizable software. Windows, Mac, or Linux install. REST and Java API access. 3 inbound / 10 outbound connections. 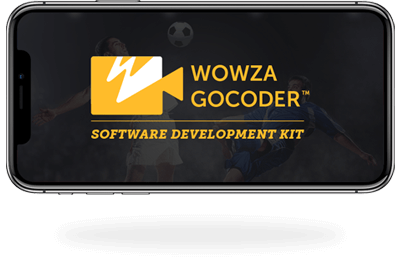 Integrate the free Wowza GoCoder SDK with Wowza Streaming Engine or Wowza Streaming Cloud to support live video capture, encoding, and streaming. Start developing mobile apps for iOS and Android today — simply and seamlessly. Looking to build on Wowza streaming technology? Check out our developer tools.